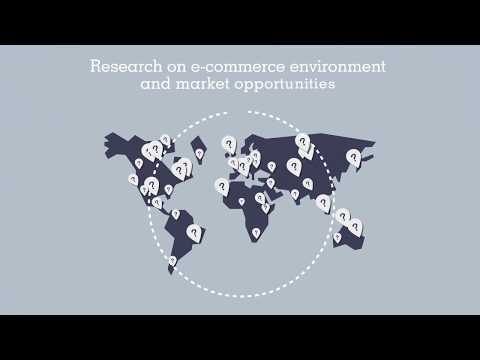 The project ‘Creating export competitiveness in the IT & IT-enabled services (ITES)’ sector in Bangladesh, financed by the Netherlands Trust Fund II (NTFII), is allowing SMEs in Bangladesh harness the export potential of the sector and reap the benefits of its estimated 10% annual growth rate. ITC will be joined in the signing of the project document on 30th June by the Centre for the Promotion of Imports from Developing Countries (CBI), Dhaka Chamber of Commerce and Industry (DCCI) and Bangladesh Association of Software and Information Services (BASIS). The joint project, which was operationally initiated in October, aims to improve the image of Bangladesh as a destination for IT and ITES outsourcing and build the capacity of trade-support institutions to provide customised and effective services to increasing the sector’s exports. Jean-Marie Paugam, Deputy Executive Director of ITC, said, ‘Bangladesh, with its labour force and competitive cost structure, has the capacity to become a skilled player in the provision of IT and IT-enabled services. Together with our development partners, we will assist Bangladesh in harnessing this potential in selected European markets’. The project will promote the Bangladeshi IT & ITES industry and build commercial links in United Kingdom, Denmark and Netherlands. The UK is the largest European IT & ITES market and is a relevant target for Bangladesh, despite the massive Indian competition. Denmark is currently the second export destination thanks to a successful trade-related technical assistance project funded by DANIDA. The Netherlands was selected because of the size of the market and to complement the CBI Export Coaching Programme which targets the same sector. Forty Bangladeshi service providers have been selected to receive export-marketing coaching and be promoted through case-studies and marketing materials.